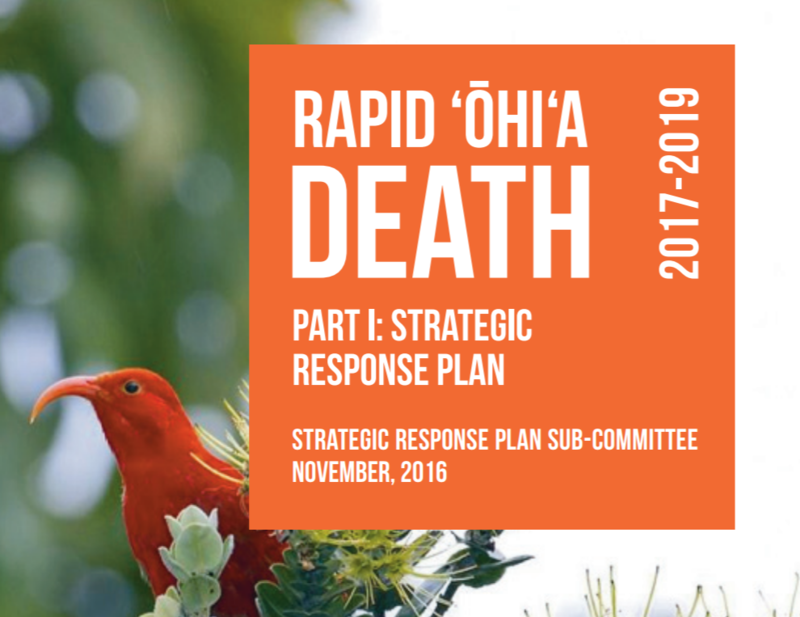 ROD-Strategic-Response-Plan-Final-Web-112216.pdf: CGAPS helped organize a Summit on Rapid ‘Ōhi‘a Death (ROD) and a presentation of the new ROD Strategic Response Plan. To view the morning session of the Summit, click here. The Pest Hotline is a toll free number that you can dial direct from any island (without using the area code). Keep Hawaiʻi free, call 643-PEST (643-7378). This number is also the amnesty line, where you can surrender illegal pets without questions or fear of prosecution. Now there is the 643-PEST online and app version where you can submit reports online or on your phone. The first in 1997 included a booklet titled, “Silent Invasion,” which was written and coordinated by The Nature Conservancy of Hawaii and designed by InfoGrafik. Click here to get materials from the “Silent Invasion” campaign.